Well, now it's only a few minutes until 8th of March, so I'll post one more album by a female-fronted band. Inner Fear were an avantgarde gothic metal band (with electronic/industrial overtones) from Brno, Czech Republic. 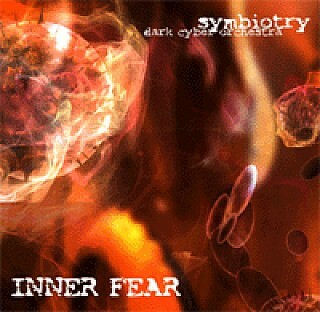 Unfortunately, now they're split up, and "Symbiotry" seems to be their last release. That's a pity, because the music is great, and Inner Fear aren't like those dozens of new generic "female fronted metal" bands. Tracks #1, 4 and 8 are especially catchy, and I like the atmosphere. Hope the other two albums of Inner Fear are as good as this one.